As program manager for Disaster Applications, David and his team use space-based instruments and models to support decisions and actions, promote innovation and build capacity in the use of Earth Science. David is also the satellite applications lead for NISAR, CYGNESS and TROPICS and serves on the Committee on Earth Observation Satellites (CEOS) and Group on Earth Observation (GEO) Disasters Working Groups. David joined NASA after 11 years as a program manager and scientist at NOAA where he worked in eco-forecasting, health, energy and coastal hazards and served as the Tsunami Program Manager for nearly four years. Prior to joining NOAA, he was a Research Fellow at the National Institution of Science and Technology and worked in the private sector as well. 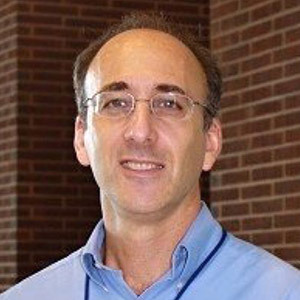 David is a member of the American Meteorological Society (AMS) Board on Enterprise Planning and the Forecast Improvement Group, and serves on the American Geophysical Union (AGU) Natural Hazards Committee. David received his Ph.D. in Physical Chemistry from the University of Toronto and holds two masters degrees – one from the University of Pennsylvania in Chemical Physics and one from the University of Maryland in International Management – Science, Technology and Commerce. He received his bachelor’s degree in Chemical Physics from the University of Toronto.